So you are thinking about this tour and are not sure about it? I recommend it. 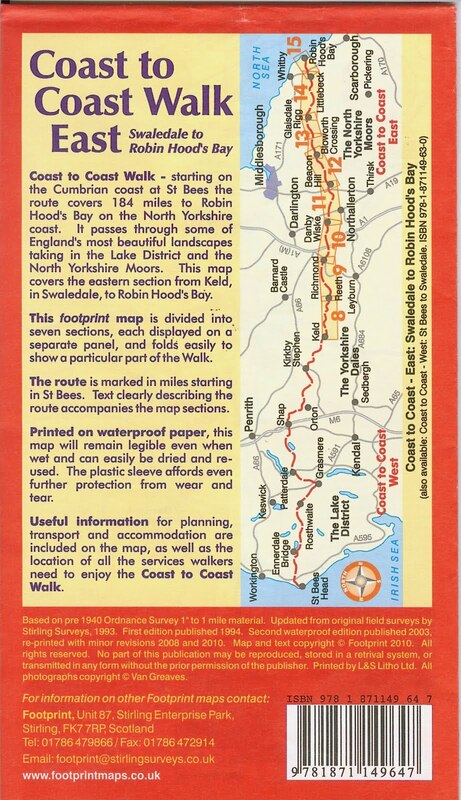 This was the first group tour I’ve ever done outside of a class trip to Paris in 1983 which I think can be ignored for the purposes of the discussion here. I was worried about whether I could hang with a group for a long period and what would it be like. In the end it was fine. You form a small family with a common goal: dipping your toes in the Irish Sea and then dipping them 12 days later in the North Sea. Along the way, stories are swapped, personalities revealed, and friendships forged. It helped that a guy who would have been my roommate cancelled last minute so I had a single which gave me some private time when we weren’t walking and eating together. During the day while you walk you can always find your space if you need it– by finding a place in the line of hikers. I preferred the back of the group. Typically we had one guide in front and one in back. The tour includes dinners and lunches (and associated arrangements), transporting your luggage from hotel to hotel, any transportation, and other logistics. You carry just a day pack during the day. We used the FootPrint maps, more or less, with some deviation when our guides led us on a more interesting route. 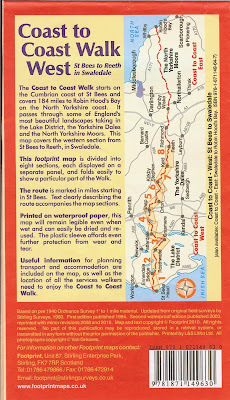 The FootPrint maps break the walk into two sections, west (part 1) and east (part 2), and I’ve adopted that approach in most of what I posted about the trip. 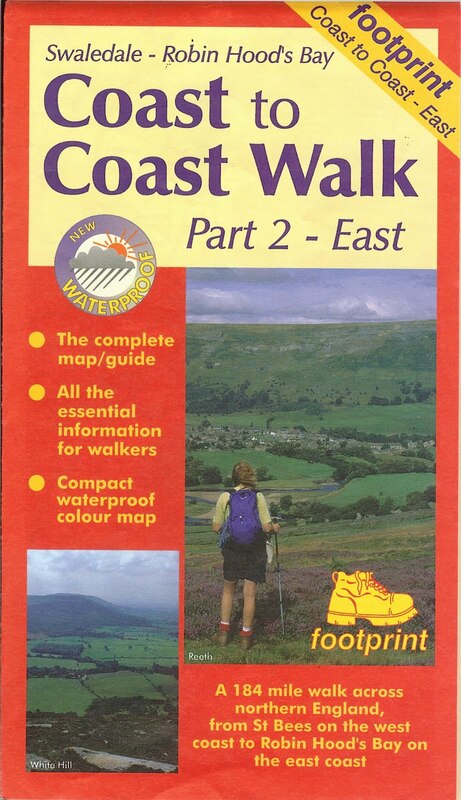 Why is this coast to coast walked named Wainwright? 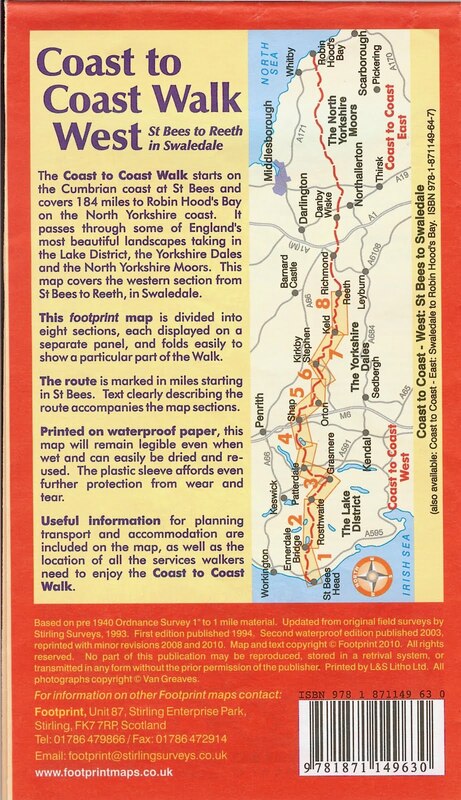 It is named after Alfred Wainwright (1907 – 1991), a British fell walker, who published his book A Coast to Coast Walk: From St. 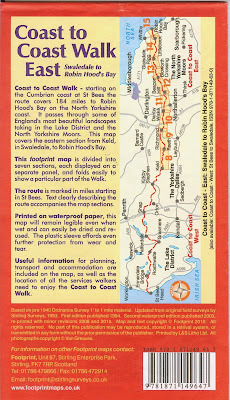 Bees to Robin Hood’s Bay in 1973. 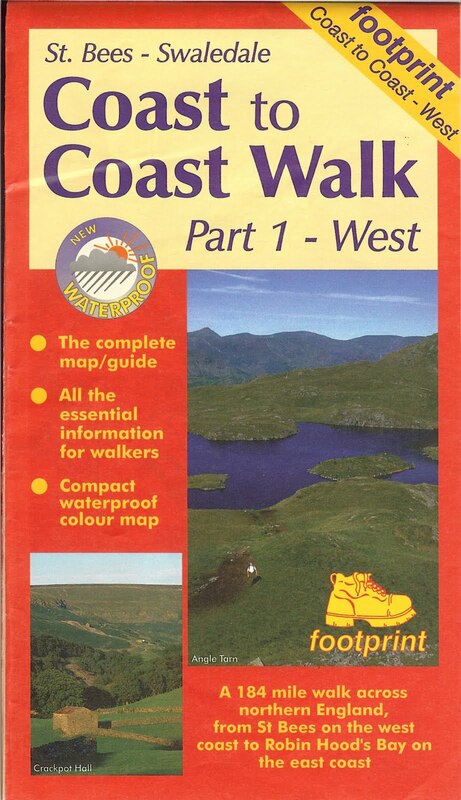 For more information on this book see the first link below.